Our sensor technology utilizes Bluetooth® Low Energy, an easy-connect system that allows for seamless linking of multiple sensors to monitor your valuables when within Bluetooth range. Some of your valuables do not require remote monitoring. 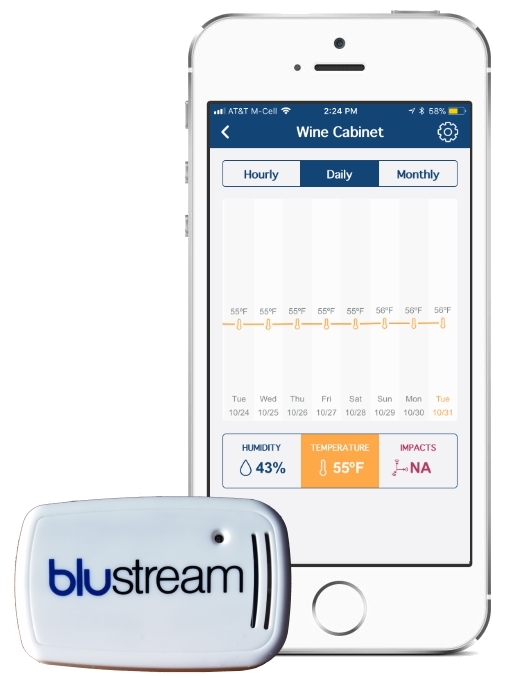 Things in your home like guitars, cigars, or wine can be monitored while within Bluetooth® range. 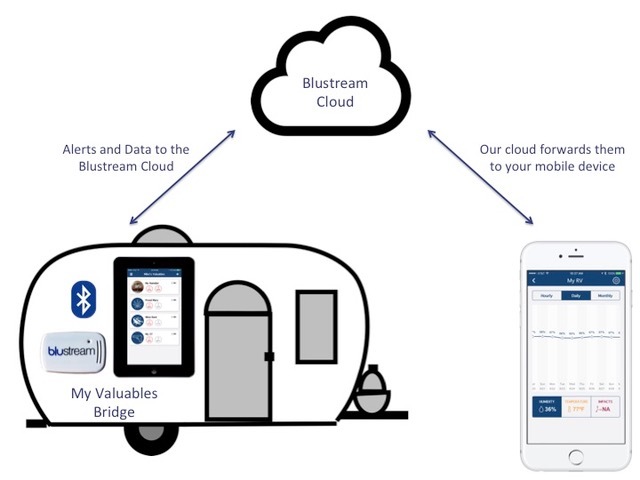 Valuables like your RV, firearms, or second home may necessitate a remote monitoring system that is reliable and easy to use, allowing you to check on them while you are away. Use any spare and compatible smart device you already have as a bridge to remotely monitor your valuables! Provides state of the art security to the sensor communication system and your valuables based on industry standards. Avoids the bandwidth issues associated with a Wi-Fi only system. Using many Wi-Fi devices at once can cause network crowding. Our system mitigates that. Makes the system portable for your on-the-go valuables, including RVs, second homes, firearms, and many more. Extends the battery life of your sensor to over a year, so your system will protect your valuables longer. 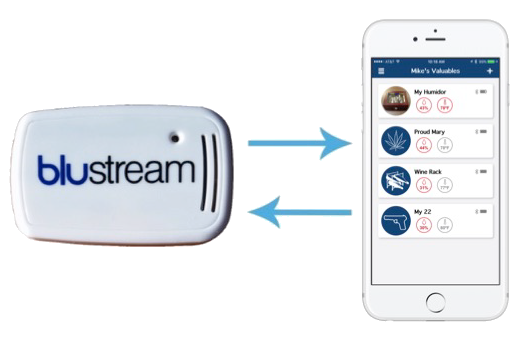 *Blustream sensors are Bluetooth® only. A bridge is required for all remote monitoring scenarios. An active internet connection is required on both the bridge device and your local device.